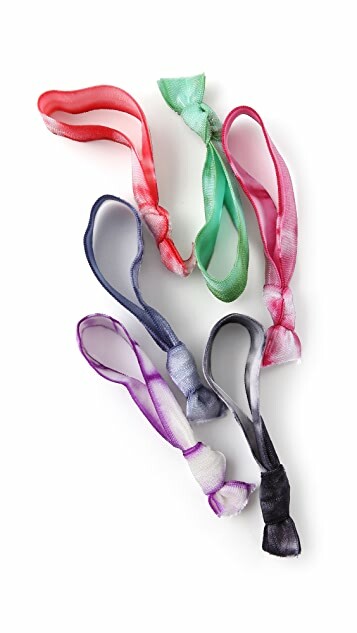 This set of 18 tie-dye elastic hair ties features a knot detail at each. Assorted jewel-tone colors. Can also be worn as bracelets. Are you kidding me? 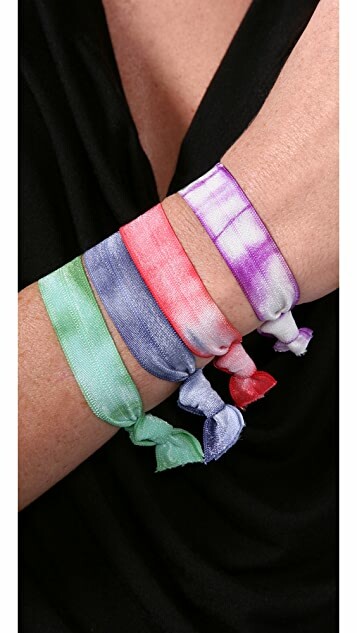 $45 for elastic hair ties. These are all over the internet and in stores (like Sephora) for $8 for 6-8 ties. Ridiculous. 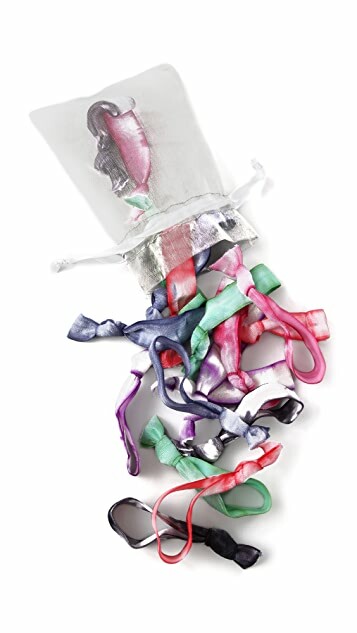 I'm pretty sure these are just fold over elastic tied in a knot. Pretty colors, but worth $20 at the most. Looks great both on my hair and the arms. I get a ton of complements on these hair ties -- both on my wrist and in my hair. 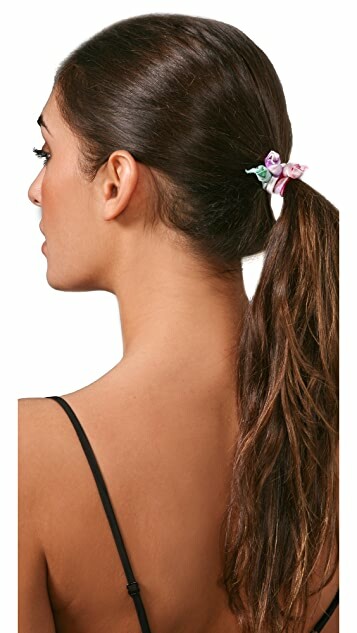 They do stretch out quickly, but I just wrap them around my pony tail one or two extra times so it stays put. If you don't lose them first, they last a very long time. I've been wearing the same hair tie almost everyday in my pony tail for over 2 months. Worth the price!